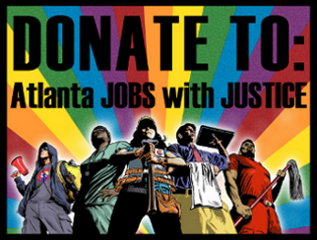 Please join Atlanta Jobs with Justice (JwJ) this Saturday in a community led delegation and picket line at the Verizon wireless location in Buckhead. Make signs if you can and bring some friends. 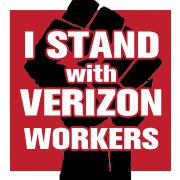 None of the Verizon wireless locations are unionized in Atlanta, therefore any action in Atlanta will send a strong message to Verizon bosses that workers and community members everywhere are standing up to their union busting activity. We in the South will fight for workers in the Northeast. 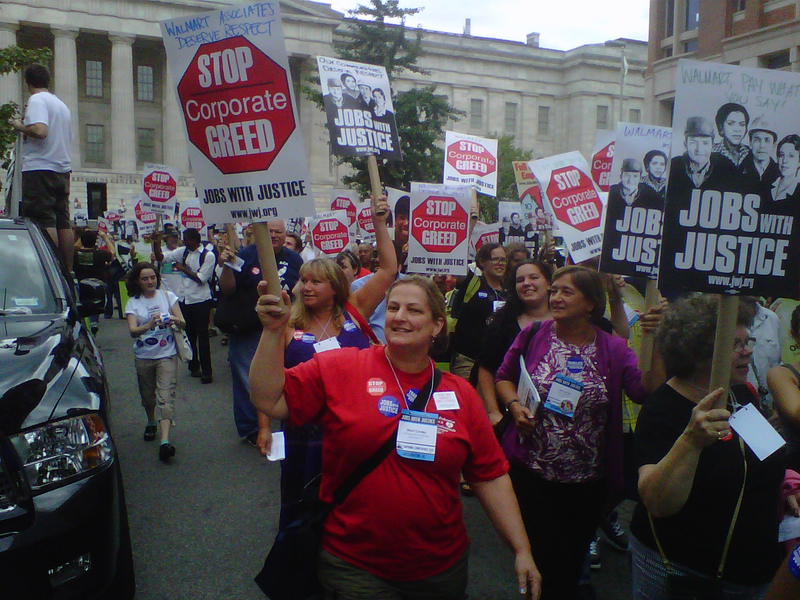 45,000 Verizon workers went on strike on Sunday, August 7th. The largest strike in the United States since 2007. The reason? Despite record profits, Verizon is refusing to bargain and is demanding that its workers add to those profits from their own pockets. In the last four years alone, Verizon made more than $19 billion in profits and compensated their top five executives more than a quarter of a billion dollars. But apparently that’s not enough. Starting on June 22 Verizon pushed proposals that would let them outsource more jobs, including sending jobs overseas, slash sick days, eliminate benefits for workers who get hurt on the job and cut the healthcare benefits they promised retirees. And they haven’t budged. So on Sunday, 45,000 CWA and IBEW members decided to take a stand to force Verizon to abandon its Wisconsin-style tactics and come to the bargaining table and negotiate. America has had enough of corporate greed. Now is the time for Verizon to do the right thing and come to the bargaining table in good faith instead of trying to kill the American dream for 45,000 middle-class workers.